[S1008] 1860 Hopkins Co., Ky. Census. Birth*: Augustus E. Falkner was born in June 1864 at Vance Co., NC. He was the son of John Faulkner and Hulda Robinson. Death*: Bartholomew Falkner died after 28 July 1860 at NC . [S9] Franklin Co., N.C. 1850 Census, pg 349 B. [S69] Unknown author, The Heritage of Vance County, N.C., page 190. [S9] Franklin Co., N.C. 1850 Census, pages 348B and 349. Birth*: Beady Falkner was born circa 1790 at NC. She was the daughter of Moses Falkner and Susannah Saulter. [S21] N.C. Marriage Bonds unknown file number, #102195. Birth*: Benjamin Falkner was born circa 1760. [S326] Unknown author, Marriages of Some Virginia Residents 1607-1800, Vol 3, page 2. Birth*: Benjamin Falkner was born circa April 1725 at Philadelphia, Pa. He was the son of Henry Falkner and Mary Ann Ball. [S19] 1910 Vance Co., N.C. Census, pg 308b. Birth*: Betsy Falkner was born circa 1826 at Warren Co., NC. She was the daughter of Hardy Falkner and Nancy Renn. Birth*: Blossie Ovade Falkner was born on 13 February 1873 at Henderson, Vance Co., NC; Birth and death dates from toombstone for Blossie Falkner Glenn in cemetery at Henderson, N.C.
She was the daughter of John Henry Falkner and Martha Ann Falkner. Death*: Blossie Ovade Falkner died on 23 March 1900 at Henderson, Vance Co., NC, at age 27 . Birth and death dates from toombstone for Blossie Falkner Glenn in cemetery at Henderson, N.C.
Burial*: She was buried circa 24 March 1900 at Henderson, Vance Co., NC. [S1116] Unknown volume, Carteret Co., N.C. Death Certificate, unknown repository. Birth*: Butler Falkner was born circa 1832 at NC. He was the son of William Falkner and Sally T. Roberson. Death*: Butler Falkner died before 1899 at NC . Birth*: Caleb Falkner was born circa 1770. Birth*: Caleb Falkner was born circa 1741. He was the son of Francis Faulkner. [S69] Unknown author, The Heritage of Vance County, N.C., pg 190. [S2325] Falkner, Asa Family Bible. She was the daughter of Noel John Falkner and Eliza Fenner Benton. Burial*: She was buried after 23 December 1913 at Elmwood Cemetery, Henderson, Vance Co., NC. [S181] Durward E., Jr. 1321 N. Mineral Springs Rd. Durham, N.C. 27703 Powell, Robert and Charity's Eleven and then some. A Powell Genealoy. [S110] Elizabeth Hicks Hummel, Hicks History of Granville Co., N.C., pg 63. 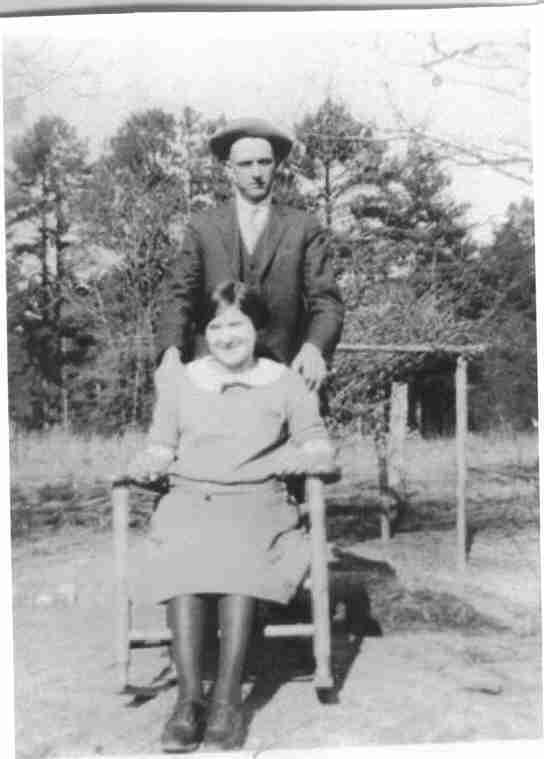 Birth*: Capitola Pearl Falkner was born on 10 November 1900 at Henderson, Vance Co., NC; Birth from Delayed Births of Vance Co. in Henderson Courthouse. Last name is spelled Faulkner. She was the daughter of Alexander Ball "Sandy" Falkner and Roxanna W. Saintsing. Death*: Capitola Pearl Falkner died on 5 August 1990 at Henderson, Vance Co., NC, at age 89 . Death*: Carolyn Faye Falkner died on 13 December 2017 at Richmond, Richmond Co., VA, at age 73 . [S1536] Letter, unknown author to unknown recipient, 26 Feb 2011. [S522] The Daily Dispatch, 18 Sep 2004. Birth*: Cassie Magnolia Falkner was born on 16 November 1901 at Henderson, Vance Co., NC; Birthdate and parents from Vance Co. Birth Records. She was the daughter of Charles Norman Falkner and Rosa Lee Grissom. Marriage*: Cassie Magnolia Falkner married Charles Price Paschall on 9 July 1917 at Warren Co., NC. [S646] Inc. Warren County Heritage Book Committee and County Heritage, Warren County Heritage North Carolina Volume I, 707. [S1523] Letter, unknown author to unknown recipient, 1 Feb 2011. Birth*: Celia Falkner was born circa 1816 at NC. [S21] N.C. Marriage Bonds unknown file number, pg 2635. Birth*: Charles Falkner was born circa 1739. Marriage*: Charles Norman Falkner married Rosa Lee Grissom, daughter of June Willis Grissom and Mattie Warrick, on 12 December 1898 at Vance Co., NC; Rosa L. Grissom, age 18, married Charles N. Falkner, age 18, of Sandy Creek at residence of L.A. Hicks. Wit: E.L. Hicks, E.W. Falkner and L.G. Adcocks. [S646] Inc. Warren County Heritage Book Committee and County Heritage, Warren County Heritage North Carolina Volume I, 521. [S242] Henderson Gold Leaf, 6 Feb 1902. Birth*: Cursey Falkner was born circa 1797 at Orange Co., NC. Marriage*: Cursey Falkner married Hiram Duke on 21 December 1815 at Orange Co., NC. [S647] 1850 Overton Co., Tenn. Census. Birth*: Daisy Lee Falkner was born in September 1882 at Vance Co., NC. She was the daughter of George B. Falkner and Cornelia Abbott. [S1330] Greensboro News and Record, 8 Aug 1926. Birth*: Daniel Falkner was born on 20 July 1736 at Philadelphia, Pa. Birth*: David Falkner was born in 1760 at Chatham Co., NC. Death*: He died on 19 July 1852 at TN . Birth*: Dean Swift Falkner was born on 15 August 1907 at MS. He was the son of Murry Cuthbert Falkner and Maud Butler. Marriage*: Dean Swift Falkner married Louise Hale on 30 September 1934. [S1877] The Times-Picayune, 11 Nov 1935.